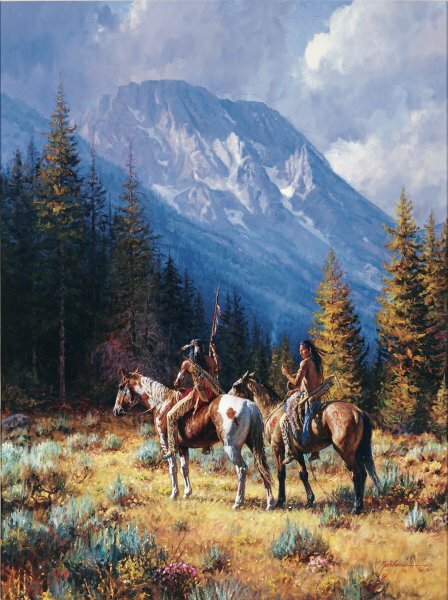 Two braves stop to gaze across the landscape at the smoke from a distant camp fire. They have ventured into another tribe's territory and are on the alert, since the are "Intruders." Perhaps they will ride on to take a closer look, signal for others of their camp to join them or quietly leave the area. As they risk being on possibly enemy ground, will they pay the price or will it be a friendly visit?